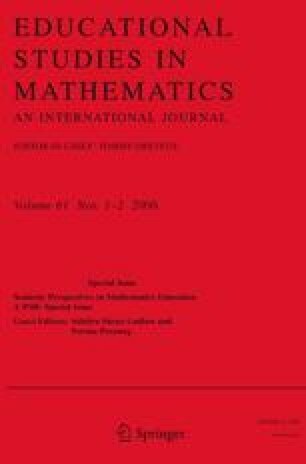 Meaning is one of the recent terms which have gained great currency in mathematics education. It is generally used as a correlate of individuals' intentions and considered a central element in contemporary accounts of knowledge formation. One important question that arises in this context is the following: if, in one way or another, knowledge rests on the intrinsically subjective intentions and deeds of the individual, how can the objectivity of conceptual mathematical entities be guaranteed? In the first part of this paper, both Peirce's and Husserl's theories of meaning are discussed in light of the aforementioned question. I examine their attempts to reconcile the subjective dimension of knowing with the alleged transcendental nature of mathematical objects. I argue that transcendentalism, either in Peirce's or Husserl's theory of meaning, leads to an irresolvable tension between subject and object. In the final part of the article, I sketch a notion of meaning and conceptual objects based on a semiotic-cultural approach to cognition and knowledge which gives up transcendentalism and instead conveys the notion of contextual objectivity.